Today, with the promotion of Eucharistic sacrilege by the Apostolic Exhortation Amoris Laetitia, and by bishops around the world, these words take on new force. 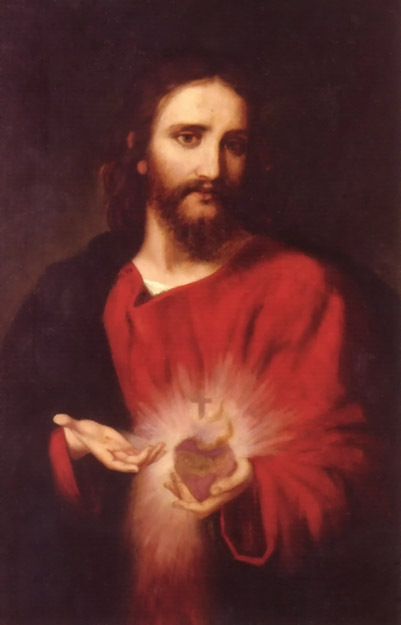 Reparation to the Sacred Heart has never been more urgently required. Please join us in praying the following act of reparation as instituted by Pope Pius XI. Mindful, alas! that we ourselves have had a share in such great indignities, which we now deplore from the depths of our hearts, we humbly ask Thy pardon and declare our readiness to atone by voluntary expiation, not only for our own personal offences, but also for the sins of those, who, straying far from the path of salvation, refuse in their obstinate infidelity to follow Thee, their Shepherd and Leader, or, renouncing the promises of their baptism, have cast off the sweet yoke of Thy law. We are now resolved to expiate each and every deplorable outrage committed against Thee; we are now determined to make amends for the manifold offences against Christian modesty in unbecoming dress and behaviour, for all the foul seductions laid to ensnare the feet of the innocent, for the frequent violations of Sundays and holy days, and the shocking blasphemies uttered against Thee and Thy Saints. We wish also to make amends for the insults to which Thy Vicar on earth and Thy priests are subjected, for the profanation, by conscious neglect or terrible acts of sacrilege, of the very Sacrament of Thy divine love and, lastly, for the crimes of nations who resist the rights and teaching authority of the Church which Thou hast founded. Would that we were able to wash away such abominations with our blood. We now offer, in reparation for these violations of Thy divine honour, the satisfaction Thou once made to Thy Eternal Father on the cross and which Thou continuest to renew daily on our altars; we offer it in union with the acts of atonement of Thy Virgin Mother and all the Saints and of the pious faithful on earth; and we sincerely promise to make recompense, as far as we can with the help of Thy grace, for all neglect of Thy great love and for the sins we and others have committed in the past. Henceforth, we will live a life of unswerving faith, of purity of conduct, of perfect observance of the precepts of the Gospel and especially that of charity. We promise to the best of our power to prevent others from offending Thee and to bring as many as possible to follow Thee.